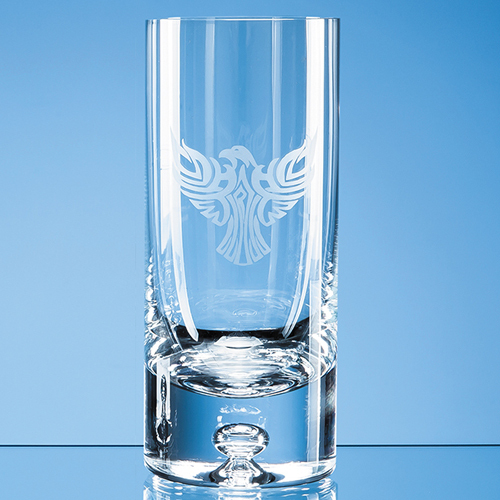 The handmade bubble base high ball is a simple modern style with a solid base and a large engraving area. It is perfect for corporate events or as a personalised gift that will be treasured. It can be personalised with any logo, crest or wording and would not look out of place at business events or special occasions.